Brian counsels clients on patent, trademark, and copyright matters. He represents clients before the United States Patent and Trademark Office and has prosecuted trademark and patent applications from filing to registration. He handles trademark opposition litigation before the Trademark Trial and Appeal Board as well as trademark filing and prosecution on a daily basis. Brian currently serves as an E-Discovery Special Master for the United States District Court for the Western District of Pennsylvania. For over 25 years, Brian has been involved in all types of litigation as lead counsel. He has handled discovery, motions practice, and appellate practice. 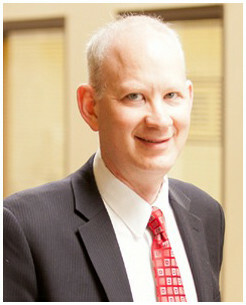 His cases have included insurance defense, employment disputes, complex business litigation and intellectual property disputes. He has tried cases in federal and state court and represents individuals and large companies, before judges and juries. He also represents clients before Arbitrators and Mediators. Brian has a Martindale-Hubbell Peer Review Rating of AV®Preeminent for the highest level of professional excellence. He has also been awarded a Client Gold Champion rating from Martindale-Hubbell. He also has an AVVO rating of 10 our of 10. As a law student, Brian clerked for Yablonski Costello Leckie & Chaban, in Washington County. Before moving to private practice, Brian began his legal career with the Pennsylvania Workers’ Compensation Bureau and with Judge Rosalia Parker as a judicial law clerk. In December of 2005 and 2006, Brian was chosen as a Pennsylvania Super Lawyers® Rising Star as one of the Best Young Lawyers Under 40 in Workers’ Compensation. This distinction is awarded to less than 3% of all lawyers in Pennsylvania. Brian has served multiple times on the Election Board and as Judge of Elections in Franklin Park. Brian is past Chair of the Franklin Park Environmental Advisory Council. He now chairs the Franklin Park Zoning Board. Brian regularly contributes his time to Pro Bono employment matters and is past Chair of the Allegheny County Bar Association Workers’ Compensation Section Council. Brian lives in Franklin Park with his wife, Christina, and his 3 daughters. Mr. Malkin is a former shareholder of Malone Middleman PC where he routinely appeared before administrative law judges, the Workers’ Compensation Appeal Board, the Commonwealth Court, and the Pennsylvania Supreme Court.